Renowned for its massive gorges and river systems, extensive waterfalls, World War II relics and incredible Bradshaw rock art sites, the northern Kimberley is an experience not to be missed. 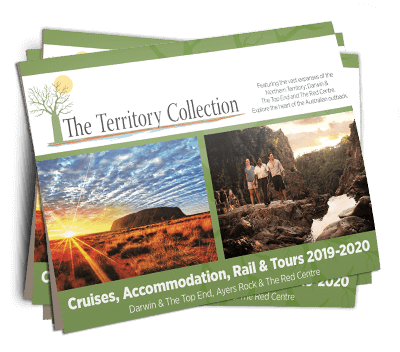 Exploring between Wyndham and the Mitchell River, this cruise will visit Kimberley icons such as the King George Falls, Berkeley River and the Drysdale River and many more. Enjoy refreshing swims in fresh water holes, explore historical Aboriginal art sites, fish for the elusive barramundi plus many other fish specials and view majestic gorges. This 8 day northern Kimberley cruise operates just after the wet season when the waterfalls are spectacular! This quest also includes a helicopter flight over the Mitchell Falls. Your Northern Quest begins when a courtesy vehicle picks you up from Kununurra at approximately 3.30pm and transfers you to the Kimberley Quest II in Wyndham port; here you will be welcomed on-board by your captain and crew. Begin your cruise with a relaxing drink as you cruise out of the Cambridge Gulf as the sunsets over the horizon. Early morning we cruise up the Berkeley River, taking in the numerous waterfalls and ancient sandstone escarpments. Experience your first taste of fishing for barramundi or take a tender excursion with our knowledgeable guides to go crocodile-spotting and bird watching. Marvel at the amphitheatre waterfalls and then cool off in beautiful freshwater pools. Late afternoon we take a tender excursion up to the back of the Berkeley River, where the saltwater meets the freshwater. Fish off the flat rocks for barra which are lurking in the rapids, alternatively walk to a fresh water pool to enjoy a relaxing dip. Tonight we savour the surroundings anchoring nearby a secluded waterfall. At high tide, we cross the sandbars of the King George River, for a breathtaking cruise along this majestic cathedral-like gorge. This incredible scenery unfolds as we approach the King George Falls, a dual waterfall that has an uninterrupted vertical drop of over 80m, making it one of the tallest waterfalls in Western Australia. The Kimberley Quest II is able to cruise to the base of the twin falls for a refreshing ‘shower,’ Kimberley style! For those intrepid adventurers, you may climb to the top for a breathtaking vista of the river below, a truly humbling experience as you appreciate the immensity of this untamed landscape, followed by a refreshing dip. Overnight we anchor just metres away from the falls, with tranquil sounds and an extraordinary view from the bow. Visit Koolama Bay, where the vessel ‘Koolama’ was beached in February 1942, following the attack by the Japanese in World War II. The passengers were taken ashore on orders, by the ship’s master and many had to walk overland on an epic cross-country trek. After visiting the survivor’s camp at Pangali Cove, enjoy a freshwater dip beneath a waterfall. In the afternoon we visit Glycosmis Falls to view another unbelievable Kimberley waterfall and then cruise around Cape Londonderry, the most northerly point of Western Australia. Relax on-board as we cruise across Napier Broome Bay. Mid-morning there is an opportunity for a beach walk to a historic Indonesian Trepang site for an insight into the lives of the early Macassan fishermen. This site stems back to the first early contact between Aboriginal tribes and the Indonesian fisherman. Late afternoon we fish the inlets and estuaries for barra, mangrove jack and we try our luck at mud-crabbing. Today we explore various coves within Vansittart Bay, visiting sites rich in the fascinating Bradshaw or Gwion Gwion art. Named after Joseph Bradshaw, the first European to record these amazing paintings in 1891. Some Bradshaw art has been dated at over 17,000 years old, which is unique to the Kimberley. There is also the opportunity to walk to the crash site of the DC3 aircraft, which crashed during World War II, located on the eastern side of Vansittart Bay. Later we cruise around the coastline of the Bougainville Peninsula, where dramatic black basalt cliffs contrast with lush green rainforests. This morning explore the estuary and gorge of the lower Mitchell River. Marvel at crocodiles, bird life, rockart and take in the flora and fauna for the last time. Depart the Kimberley Quest II by helicopter where you will enjoy a scenic flight over the Mitchell Falls. At the Mitchell Plateau airstrip you will board a light aircraft and discover the immensity of the Kimberley. Return to Broome in mid-afternoon, where our team will transfer you to your accommodation.